I am beginning the year with a dressage immersion experience in Venice, Florida at Fox Lea Farm. I’m riding almost everyday with Judy Farnsworth and we are going back to the beginning on a 20 meter circle. I have been updating my blog every few days with my insights and nuggets to share. It is interesting to have a new way to combine, order and time tools I have to create better self-carriage. It will be a work in progress as I am retraining my rider muscle memory and Donzer is still moving forward in a positive way. Best described as a flat year, Donzer has increased his head shaking to the level of being disobediant, not just losing his balance in the work. I’m looking for the teach who will be able to help me through this next training challenge. Donzer and Tara have spent the winter working together to find this next level of balance needed for FEI work. This new level of self-carriage is a combination of horse and rider strength. Tara is interested in learning to ride and also how to teach the PSG work. This is a longer way to get to PSG but Tara wants to be able to save other people some of the struggle adult riders face. 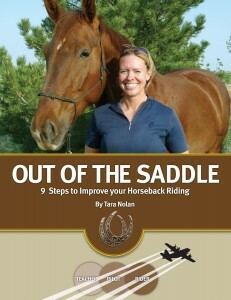 As an educator of adults, Tara is able to focus in on what the riders need to learn to allow the progression of the team. Donzer is an Oldenberg gelding that is now schooling (2012) Prix St George. He is spending this spring in training with Sarah Martin out in California. I competed Donzer successfully through 4th level last year (2010). Donzer’s job this year is to teach me how to ride flying changes and feel true half-halts. Donzer likes to work but really likes to take over and say, “I got it, you just sit there an look pretty.” He is teaching me to ride more actively while not doing to much–I’ll let you know when I figure it out.